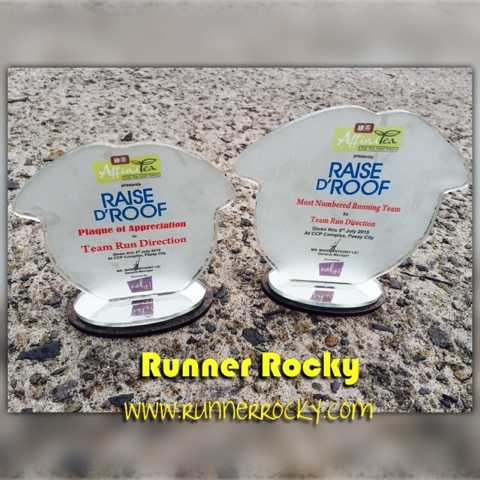 Inline with its 1st Year Anniversary celebration, the running group Team Run Direction (TRD) received two major awards in the recently concluded major running event, the Affinitea's Raise D' Roof 2015. 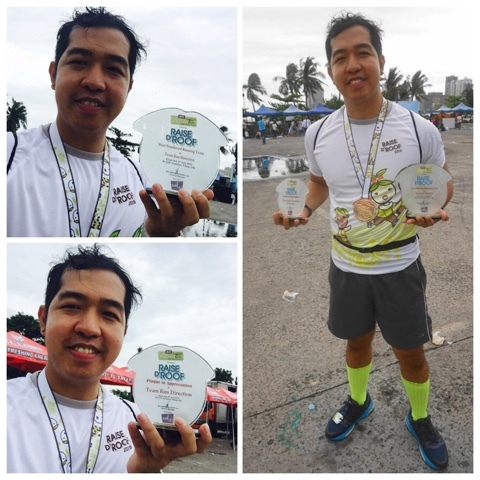 These said two awards are the Plaque of Appreciation and the Most Numbered Running Team Award. 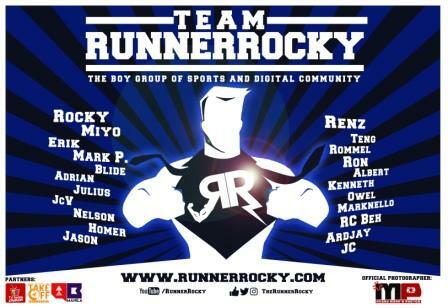 Almost 50+ members of the team participated as runners who ran in the event while the remaining members also attended the event showing supports to the team. 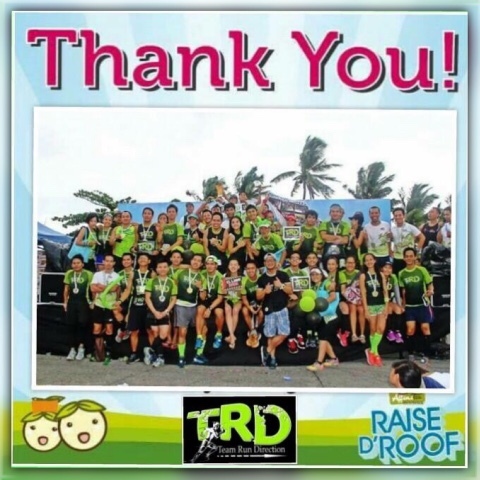 This is the second time around that TRD participated in Affinitea's run. 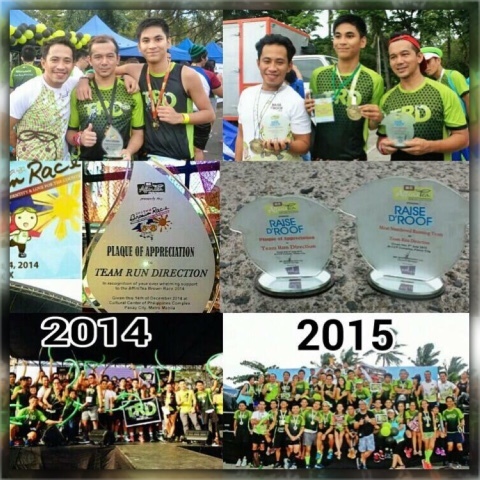 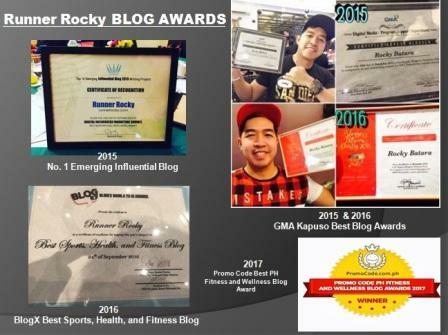 Last December 2014, the team also showed full support in Affinitea's Brown Race grabbing them the same two awards. 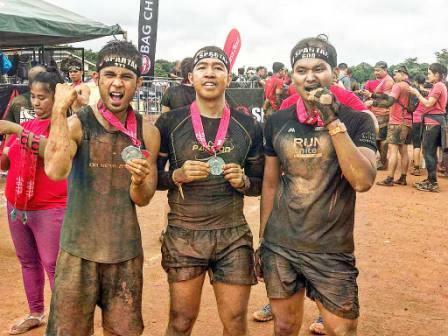 Joining this running event together with my team members was really a "More Than Medals" experience! 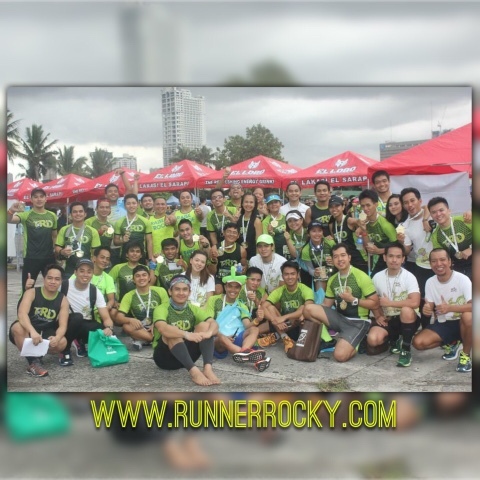 We had so much fun sharing camaraderie with one another! 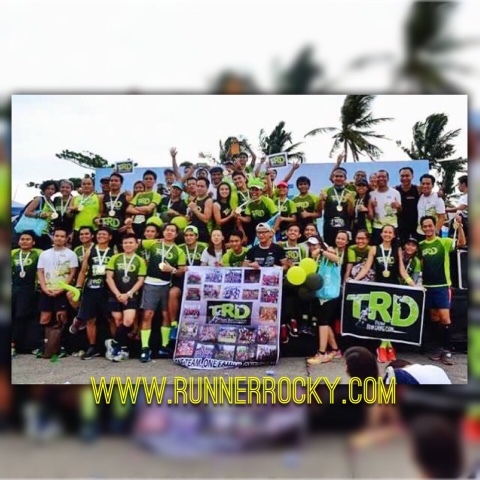 This coming December 2015, expect that TRD will also be in full force like this. 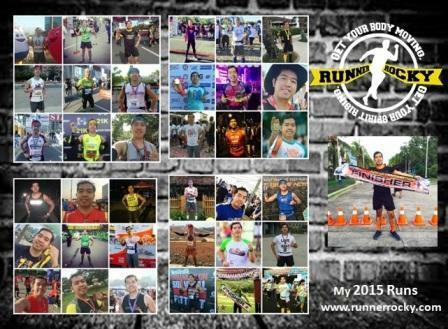 Once more, we will break another record!